This sequel to The War of the World has been authorised by the H.G. Wells estate and could well have been written by the man himself, such is the skill that Baxter exhibits in crafting a tale that stays true to Wells’ writing style and the characters he created. The novel opens in 1920, some thirteen years since the First Martian War. The protagonist of the original novel, Walter Jenkins has been living in Germany, undergoing treatment for what we today would class as PTSD. This sequel is told primarily from the viewpoint of his sister-in-law, Julie Elphinstone. Summoned to a hotel in New York for a telephone call with Walter, she soon finds herself facing a Second Martian War. 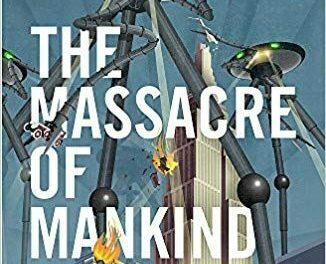 The utter devastation and destruction that the Martians wrought upon the Earth in the first war is inevitably repeated in the second, but on a much greater scale. Entire cities, towns and villages around the world are razed to the ground by the impact of Martian canisters landing. This weighty tome is split into four books telling the story of the arrival of the Martians, their effect upon the Earth, and how the humans wage war upon their vastly superior technology. Many aspects of the war are analogous to the Second World War – the emergence of a resistance, some humans collaborating with the enemy, and the massive loss of life. 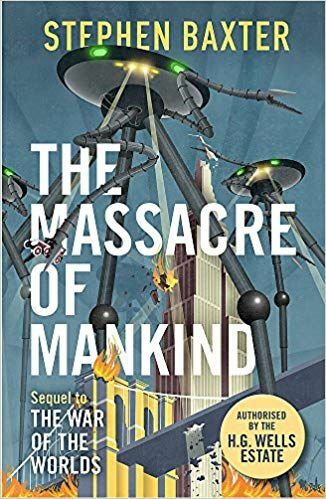 It’s hard not to hear the soundtrack to Jeff Wayne’s War of the Worlds playing in your head as you read this exciting and gripping sequel to one of the most influential science fiction tales ever written.